There are an infinite number of uses for digital signage – from advertising and PR campaigns to patient check-ins and internal communications. However, it may be the restaurant business that has seen the highest level of digital signage innovation in recent years. The five case-studies below represent what we think are some of the smartest uses of digital signage and screen publishing in the restaurant industry. Fact: everyone loves pizza. But, in the wake of stiff competition and a rising trend in ordering take-out, restaurant icon Pizza Hut has been going through somewhat of a rough patch. Although the delivery side of the business is still going strong, the number of people choosing to dine-in at one of their 17,000 restaurants is declining. Pizza Hut faces a challenge facing many modern restaurants – how can they create a dine-in experience that’s more compelling than tapping an app and having food arrive at your doorstep? How awesome is that? An interactive tabletop that allows you to personalise your pizza, pay with one tap, and even play games while you wait for your food to arrive. While this is currently just a concept, it could hold the key to solving Pizza Hut’s dine-in woes. Pushing the boundaries of digital signage in this way creates a customer experience that can't be found anywhere else, least of all at home slouched in front of Netflix. 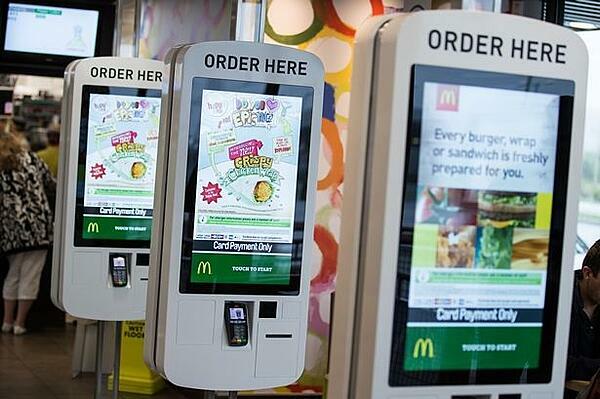 If you’ve been to a McDonald's restaurant lately, you’ll have noticed the large digital displays dominating the entrances. These huge touchscreens let patrons customise, order, and pay for their meals in just a few taps. They can even enter their table number and have their meal delivered straight to their table for convenience. 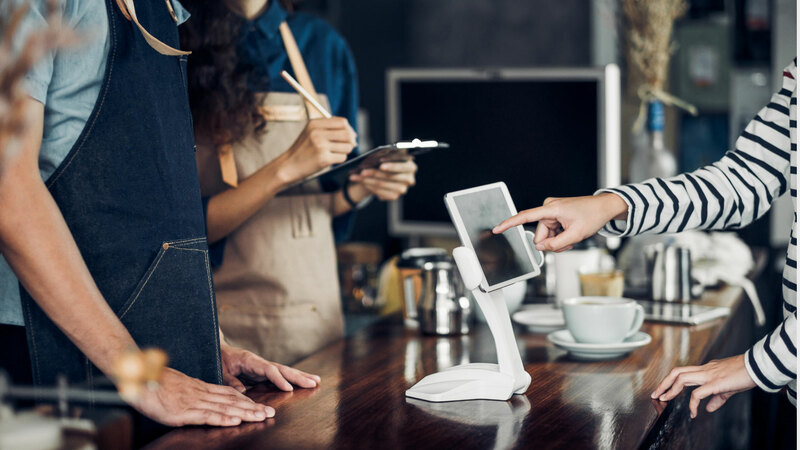 While this may take some of the intimacy out of the restaurant experience, self-service digital signage kiosks are a fantastic option for quick service restaurants, where speed and convenience are what customers have come to expect. Seattle-born coffee giant, Starbucks, has been looking for ways to boost sales during their post-noon period, where they’ve seen sales slump. Their solution? Digital menus that can adapt based on the time. By installing digital screens, Starbucks can promote different options at different times of the day, shifting from coffee in the morning to food items, like soups and sandwiches, in the afternoon. Digital signage allows Starbucks to be “more on point and on message, with what they want to say,” according to BTIG analyst Peter Saleh. This flexibility to change menus on the fly is one of the key benefits of using screen publishing over traditional, static signage. London-based sushi and bento restaurant chain, Wasabi, has installed digital menus in their eateries in a bid to create a consistent brand experience across their branches. 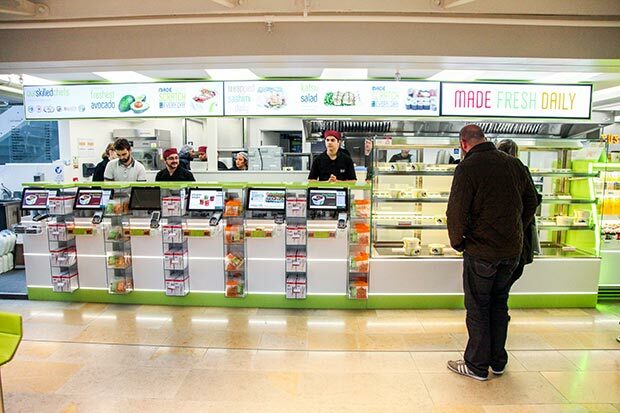 “This project has helped us to standardise our in-store experience, ensuring up-to-date information on our menu boards and reducing the time invested to maintain them,“ says Wasabi’s IT Support Analyst, Jerry Chen. 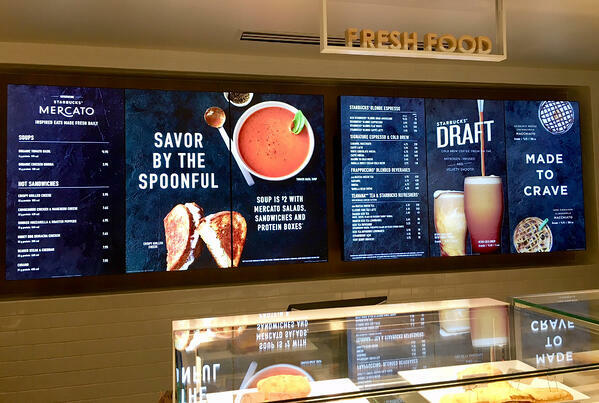 Digital menus, when paired with great digital signage software, can ensure that your offerings, promotions, and branding are kept updated and consistent across all your restaurant's locations – particularly useful if you're a franchise. Pricing isn’t necessarily the first thing you think of when you think of innovation, but Miami-based company Drink Exchange is looking to change all that. It sells software that adjusts the price of drinks based on supply and demand, just like the stock exchange on Wall Street. If a particular cocktail is popular, it becomes more expensive, and vice versa. Bars and restaurants can display these price fluctuations in real time via their digital signage, keeping customers aware of the best deals. The benefits of this system are twofold: unpopular food and drink items get sold to people who want to save money, and it creates a dynamic and unique experience for visitors. While this won’t be a viable option for some businesses, we think it’s a truly inspired use of digital signage, and proof that there is still plenty of room for new ideas. It’s clear to see that in the world of digital signage, the pace of innovation isn’t slowing down. Digital signage is great for its obvious uses but, by thinking outside the box, restaurants can harness the technology to create customer experiences that will excite and delight their clientele. 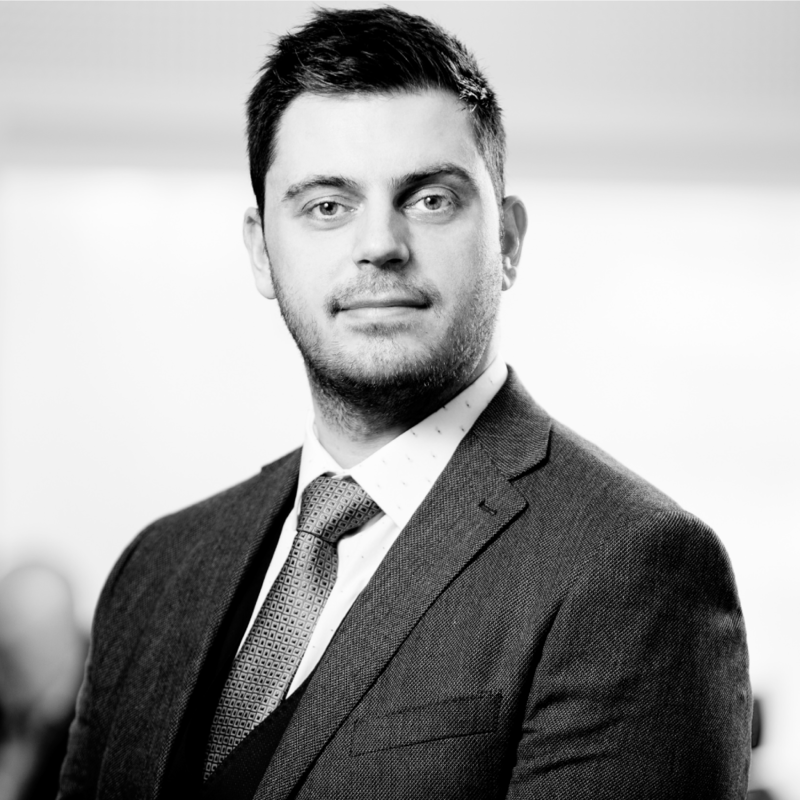 If you’re still unsure about all the benefits of digital signage and screen publishing, or perhaps just want to find out more, download our all-encompassing guide today.